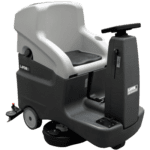 The COMFORT66XXS Scrubber Dryer is designed for the maintenance and deep cleaning of large areas. 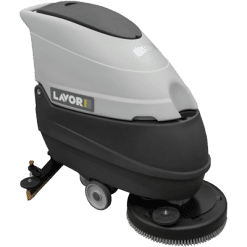 With a twin brush scrubbing width of 660MM and a squeegee width of 800MM, therefore resulting in an industrial floor cleaner that can cover 3250 m2 per hour. 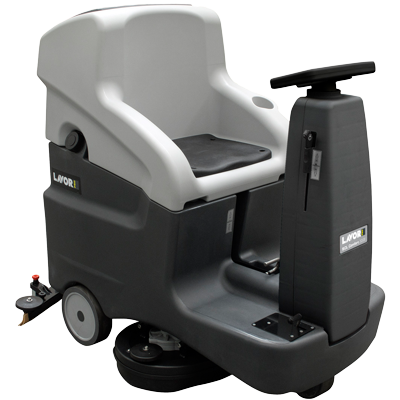 It’s very compact in size and has great manoeuvrability like walk behind models. With 32 kg of constant pressure on the brushes, this a real cleaning machine. 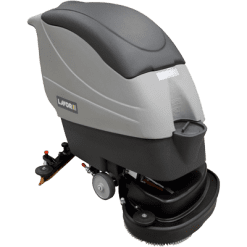 The scrubber dryer comes standard with 2 x 12v batteries and 240v battery charger. In addition, you can order 4 x 6V for larger area cleaning and battery life. It has auto chemical dosing through the control panel for on the fly adjustment. The machine has a large load capacity tank, hence there is a significant reduction in the number of stops. It has a safety dead man switch in seat, and also has a tilt sensor for auto cutoff before accidents occur. To save on brush usage, there is an auto cut off of brushes and detergent water outflow when machine is stationary. 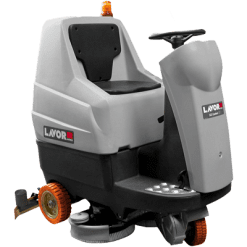 This industrial floor cleaner is best suited for large automobile workshops, car dealerships and factories or warehouses.